The Cvjetkovic Mini Ace CA-61 is a design of Anton Cvjetkovic a Yugoslav who had emigrated to the USA in the late 1950s. The Mini Ace that was available as a plans built only first flew in 1962. 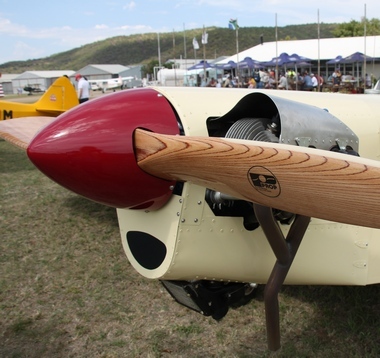 Designed for home construction, the Mini Ace is a wooden low-wing monoplane with a fixed tail wheel undercarriage to be flown with a C-65 Continental; however 1600cc Volkswagen engines have been installed as well. Some builders have opted for side opening and open-cockpit variations. 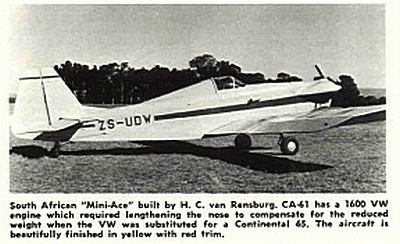 The first and possibly the only Mini Ace in South Africa was built by H.C."Toy"van Rensburg, a resident of Clocolan in the Free State. 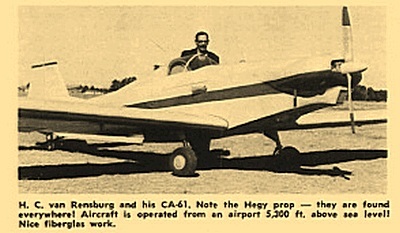 Toy, an out-and-out layman who did not have a pilots’ licence, read about Cvjetkovic's design in the December 1965 issue of Mechanics Illustrated magazine and there and then decided that he was going to build one. Initially he and his brother David, who had a lapsed pilots licence, were going to be partners and a set of plans was ordered which arrived promptly. That is when a number of snags reared their heads. David lived in a bachelor flat in Johannesburg 250 miles from Clocolan. Toy's wife thought he had gone completely of his rocker and would not talk to him for days. His garage was not long enough but he soon solved that by doing the necessary extensions himself. By then his wife had realised that he was serious and things on the home front improved. Plans in hand Toy started finding out just how to build an aircraft and where to source the necessary materials. 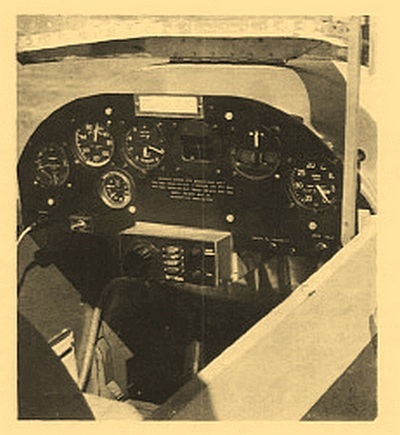 He searched all over for aircraft quality spruce, eventually ordering a batch from the US that only arrived eight months later and although certified as aircraft quality, most of the planks were of inferior quality. Whilst waiting for the arrival of the spruce, Toy started his search for a suitable power plant and eventually found a 65 hp Continental for $3,000. This was much more than he could afford and he decided to go for the Volkswagen 1,600cc options. Dave then withdrew having decided to build a Taylor Titch. By then, quite an expert in spruce, Toy eventually found the right quality in Durban and could at last start making his dream come true. What started out as a hobby, became an obsession and he spent every spare minute working on the Mini Ace. His wife by then had resigned herself to the fact that he was not going to give up and that she may just as well help him to get it all over. By then Toy realised that having gotten that far, it might be about time to get his licence and he enrolled at a local flying school. After having had six hours of instruction, the school became bankrupt. As was to be expected in a small community, word had spread and Toy's garage was crowded with locals, most of which were only there to appease their own curiosity. Others however showed serious interest so much so that a number of them got together and started a flying club. An instructor was located and Toy got his licence on a Cessna 150. By the time he was ready for his test flight, he had logged some 100 hours. He did his tail dragger conversion on an Aeronca 7AC. His first fast taxi run resulted in a burst tail wheel tyre. The first flight took place uneventfully. The Mini Ace flew like a dream, performing precisely as expected. He eventually flew her all over the country, even as far afield as the Kalahari. 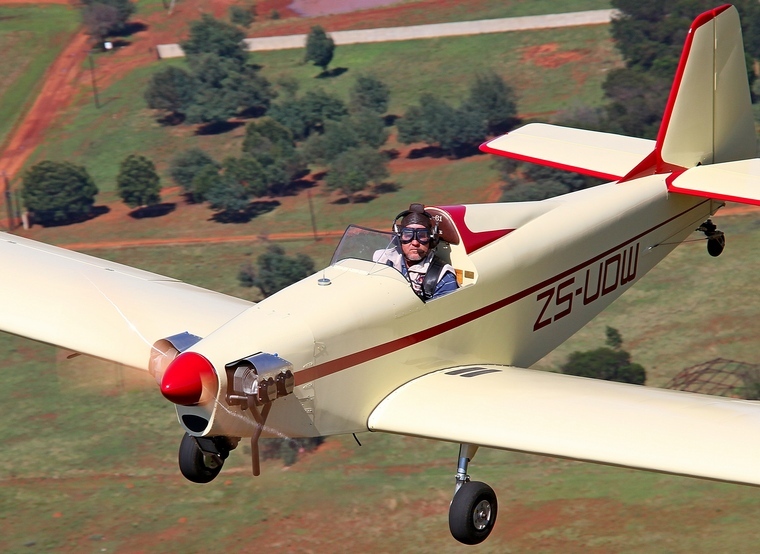 In the 1980's Dale de Klerk used to see ZS-UDW flying around at many fly-ins. As it was unique in several ways, it attracted his attention. It was a single seater. The engine did not have a starter motor and had to be hand propped and it was the only one that he was aware of, although he believes there is another example in the country which he has not seen. During the 1990s, Dale befriended Nigel Hopkins.and Nigel let him fly his Teenie two, ZS UHC and he started looking for the Mini Ace again. He eventually found it in a hangar at the Petit airfield. It seemed in reasonable condition but the engine was in a sad state. He made the then owner an offer and purchased it in 1996. He carried out an engine top overhaul and Nigel flew her to Brits. Dale flew her a few times but the VW engine by then had done 1390 hours was tired. An inspection by an Approved Person promptly put an end to the Mini Ace's flying career. Her cotton fabric was brittle and needed replacement. 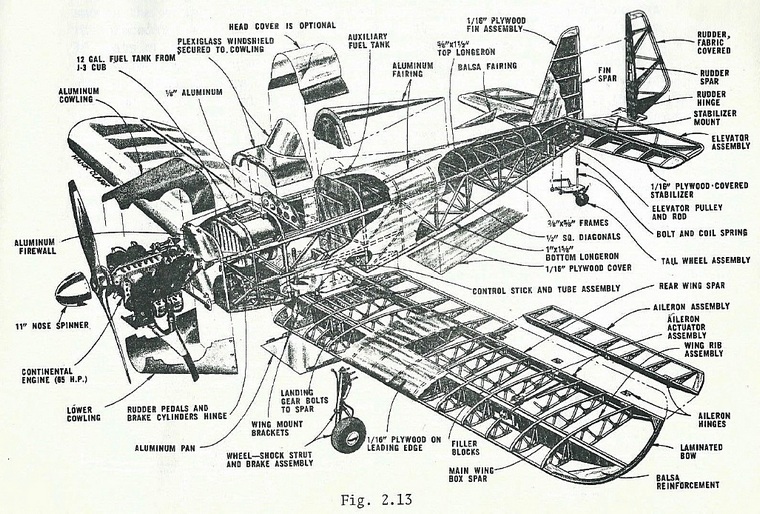 Dale just could not afford a recover and engine overhaul and he stripped the aircraft and placed it in storage where she remained for the next sixteen years. 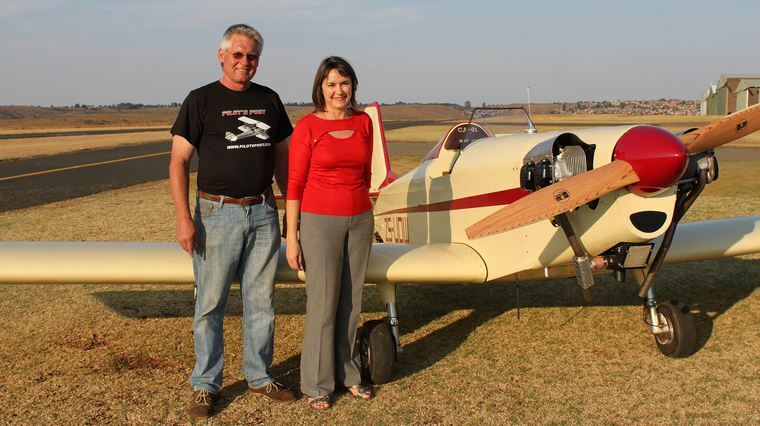 In November 2013 Coenrad Underhay, aircraft builder extraordinaire, and Dale fetched her from Brits. After having cleaned off enough dust to topsoil an average town house garden, moved her to Krugersdorp where they stripped her to a bare frame and started a total restoration. The woodwork was still perfect so she was covered, painted and assembled. To retain the look of the era it was designed in, the beige and burgundy colour scheme was retained. The original design called for a Continental A-65 engine. 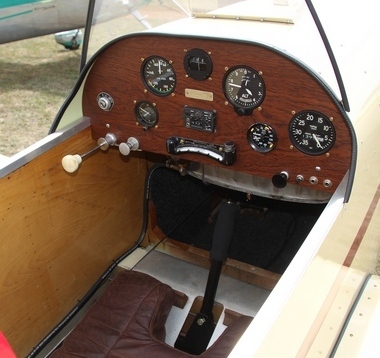 Dale was fortunate enough to find one that used to power an Aeronca Chief and purchased it. A new prop made by Peter de Neckar was fitted and the Mini Ace was ready to take to the air again. 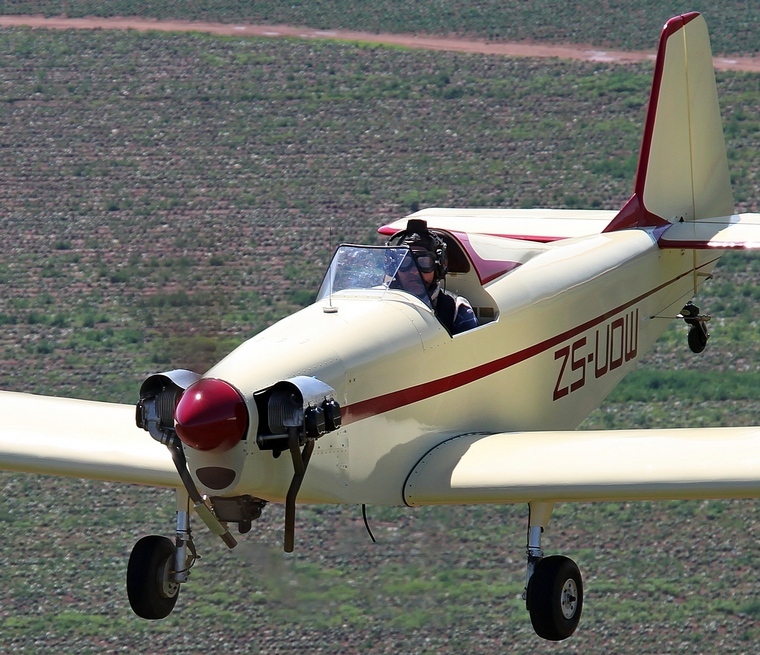 Dale desperately wanted to fly her to Petit for the Pilot's Post Classic and Warbird Fly-in held on 4 October 2014 but due to bureaucratic problems at the Civil Aviation Administration, her first flight was delayed until the 22 October. Present at the day to witness the flight was Sanet, Toy's daughter. 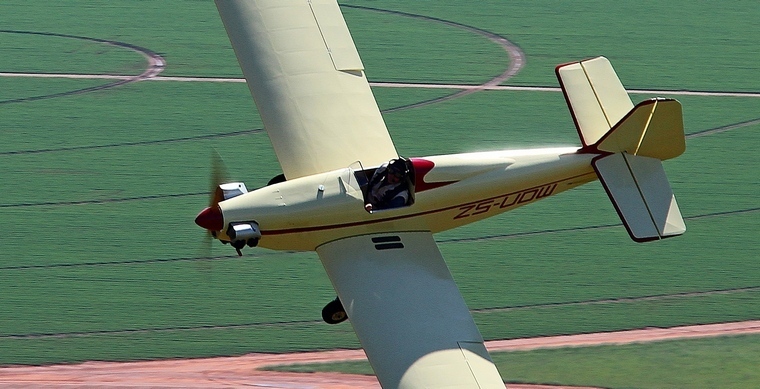 Dale now flies the oldest airworthy home-built in the country and what a stunner she is. My thanks to Dale and Justin Meyers of Krugerdorp based Alpi Aviation Academy (SACAA 1039) for expertly flying the Ibis during the photo shoot.